The Abenaki (or Abnaki) are a tribe of Native American and First Nations people belonging to the Algonquian peoples of northeastern North America. They are located in an area the Eastern Algonquian languages call the Wabanaki (Dawn Land) Region. The Abenakis were one of the five members of the Wabanaki Confederacy, the other four being the Maliseet, Mi'kmaq, Passamaquoddy, and Penobscot. The Abenaki, like their fellow Wabanaki tribes, were peaceful, although they were often forced to defend themselves against the Iroquois. They relied upon horticulture for their food as well as hunting and fishing. 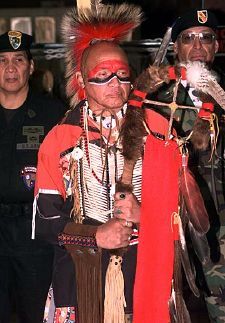 When the Europeans came to the region, the Abenaki greeted them and accepted their Christian message, albeit often combined with their traditional Midewiwin shamanistic practices. However, diseases ravaged their population, and when the French and Indian Wars led to increasing danger of annihilation, they began to migrate to Quebec. Contemporary Abenaki live on the reserves in Quebec, as well as on reservations in Maine, and in other communities in New Hampshire and Vermont. These communities have made efforts to revive their culture and traditional crafts, particularly basket and rattle making as well as traditional dances. These reflect the spirituality, connection to nature, and desire for peace and harmony that characterizes the Abenaki, qualities that are valuable for contemporary society as a whole. The Abenaki people call themselves Alnôbak, meaning "Real People." In addition, when compared to the more interior Algonquian peoples, they call themselves Wôbanuok meaning "Easterners." They also refer to themselves as Abenaki or Abnaki. Both forms are derived from Wabanaki or the Wabanaki Confederacy, as they were once a member of this confederacy they called Wôbanakiak, meaning "People of the Dawn Land" in the Abenaki language—from wôban ("dawn" or "east") and aki ("land") (Trigger and Sturtevant 1979); Campbell (1997) uses the spelling wabánahki. The Abenaki language is closely related to those of their neighboring Wabanaki tribes such as the Mi'kmaq, Maliseet, and Passamaquoddy, as well as with other Eastern Algonquian languages. Their language has been preserved in the monumental Abenaki-French dictionary of Sebastian Râle, in Joseph Laurent's 1884 grammar, and in the 1994 dictionary by Gordon Day. Other dictionaries are Chief Henry Lorne Masta's 1932 Abenaki Legends, Grammar, and Place Names, and Joseph Aubery's 1700 French-Abenaki Dictionary, translated into English and published in 1995 by Chief Stephen Laurent (son of Joseph). The homeland of the Abenaki, known to them as Ndakinna, which means "our land," extended across most of northern New England, southern Quebec, and the southern Canadian Maritimes. The Eastern Abenaki's population was concentrated in portions of Maine east of New Hampshire's White Mountains. The Western Abenaki lived in the Connecticut River valley in Vermont, New Hampshire, and Massachusetts, with the Missiquoi along the eastern shore of Lake Champlain (Waldman 2006). The settlement of New England and frequent wars caused many Abenakis to retreat to Quebec. Two large tribal communities formed near St-Francois-du-Lac and Bécancour. These settlements continue to exist to this day. Before the Abenaki had contact with the European world, their population may have numbered as many as 30,000, with around 20,000 Eastern Abenaki, and 10,000 Western Abenaki. In the sixteenth century, European fisherman began to cross the North Atlantic on a regular basis to fish the Grand Banks. Encounters with the indigenous population began in that period. The Abenaki were described in early encounters as not cannibals, but as docile, ingenious, temperate in the use of liquor, and not profane (Thwaites 1900). In 1614, Thomas Hunt captured twenty four young people and took them to England (Bourne 1990). The most significant early impact, however, was disease. Multiple epidemics arrived a decade prior to the English settlement of Massachusetts in 1620, when three separate sicknesses swept across New England and the Canadian Maritimes. Maine was hit very hard during the year of 1617, with a fatality rate of 75 percent, and the population of the Eastern Abenaki fell to about 5,000. Fortunately, the Western Abenaki were a more isolated group of people and suffered far less, losing only about half of their original population of 10,000 (Sultzman 1997). The new diseases continued to cause more disaster throughout the seventeenth century. Epidemics of smallpox, influenza, diptheria, and measles, affected the native populations (Sultzman 1997). As the British and French colonies developed, the Abenakis were traditionally allied with the French. French Jesuits established missions and converted them to Christianity. 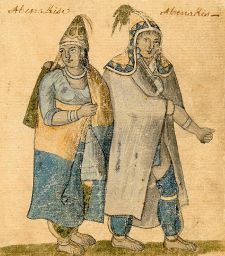 Facing annihilation from English attacks and epidemics, the Abenaki started to migrate to Quebec around 1669, where two municipalities were given to them. The first was on the Saint Francis River and is nowadays known as the Odanak Indian Reservation; the second was founded near Bécancour and is called the Wolinak Indian Reservation. The Abenaki population continued to decline, but in 1676, they took in thousands of refugees from many southern New England tribes displaced by settlement and King Philip's War. Because of this, descendants of nearly every southern New England Algonquin can be found among the Abenaki people. When their principal town, Norridgewock, was taken and their missionary, Father Sebastian Râle, was killed in 1724, many more Abenaki migrated to the settlement on the St. Francis River where other refugees from the New England tribes had settled earlier. However, due to erroneous use of the word "Abenaki" to mean "Wabanaki," all the Abenakis together with the Penobscots are often described as "Western Abenaki" peoples, while the Mi'kmaq, Maliseet, and Passamaquoddy are described as "Eastern Abenaki" peoples. Abenaki lived a lifestyle similar to the Algonquin of southern New England. The Abenaki largely relied on horticulture when it came to their diet, which is why villages often were located on or near river floodplains. The Abenaki largely relied on horticulture when it came to their diet, which is why villages often were located on or near river floodplains. Other less major, but still important contributions to their diet were from hunting, fishing, and wild plant gathering (Sultzman 1997). They lived in scattered bands of extended families for most of the year. Each man had different hunting territories inherited through his father. The Abenaki were patrilineal, unlike the Iroquois. Bands would come together during the spring and summer at temporary villages near rivers, or somewhere along the seacoast for planting and fishing. These villages occasionally had to be fortified with palisades of upright logs, depending on the alliances and enemies of other tribes or Europeans near the village. Abenaki villages were quite small—the average number of people being around 100 (Sultzman 1997). During the winter, the Abenaki lived in small groups farther inland. 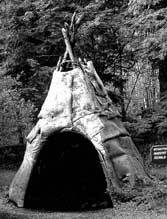 Most Abenaki settlements used dome-shaped, bark-covered wigwams for housing. During the winter the Abnaki would line the inside of their wigwams with bear and deer skins. The Abenaki also built long houses similar to those of the Iroquois (Waldman 2006). The Abenaki were ruled by elected chiefs called sachems, who usually served for life but could be impeached. They had little actual power and important decisions were made by meetings of all the adults, but European colonizers still treated them like monarchs, resulting in much miscommunication and misunderstanding. The Abenaki like other Algonquin people, shared a belief in Midewiwin (also spelled Midewin). With the arrival of the French, they were converted to Christianity, but many still practiced Midewiwin or co-practice Christianity and Midewiwin. Religious ceremonies are led by shamans, called Medeoulin, who possess spiritual power. This power is not necessarily good or evil, but can be used for either. According to their mythology, the history of the Abenaki people is divided into three time periods. In the first, the Ancient Age, human and animal life are undifferentiated. In the second, the Golden Age, humans are still animals, but quantitatively different. In the third, the Present Age, animals and humankind are totally differentiated. Numerous beings feature in the mythology. Tabaldak the creator, and Gluskab (whose name appears in several variants associated with different branches of the Abenaki, including Glooscap, Glooskap, Gluskabe, and Klooskomba) the "transformer" being the most significant. According to traditional tales, Tabaldak, the creator god, made humans and then Gluskab and Malsumis sprang from the dust on his hand. Gluskab and Malsumis both had the power to create a good world, but only Gluskab did so. Malsumis still seeks evil to this day. Gluskab founded the Golden Age of the Earth by rendering the evil spirits of the Ancient Age smaller and safer, as well as teaching humankind how to hunt and fish, build shelter, and all the Abenaki knowledge of art, invention, and science. Gluskab realized the strain hunters can cause on an ecosystem. He asked a woodchuck spirit for help, and she gave him all the hairs off her belly, woven into a magical sac. This is why woodchucks have bald bellies. Gluskab then went to a mountain, where Tabaldak had placed a huge eagle (Pamola) that made bad weather by flapping its wings. After binding it, Gluskab realized some wind was necessary and loosened them slightly. Gluskab saved the world from a frog monster that swallowed all the planet's water. When Gluskab cut open the monster's belly, some animals jumped into the water and became fish. Gluskab's departure ended the Golden Age, though he is prophesied to return and renew it again. Contemporary Abenaki live in Quebec, in two large tribal communities formed near St-Francois-du-Lac and Bécancour. Facing annihilation, around 1669 the Abenakis had emigrated to Canada, then under French control, where they were granted two seigneuries. The first seigneurie was established on the Saint-François river and is now known as the Odanak Indian Reserve; the second was established on the river Bécancour and is now known as the Wôlinak Indian Reserve. At the beginning of the twenty-first century, there were four hundred Wôlinak Abenakis and almost 1,500 at Odanak. Three reservations also exist in northern Maine. The remaining Abenaki people are scattered within Quebec, New Brunswick, and northern New England, living in multi-race towns and cities. A tribal council was organized in 1976 at Swanton, Vermont as the Sokoki-St. Francis Band of the Abenaki Nation. In 1980, two small councils united to form the Northeast Woodland-Coos Band, now known as the Koasek Traditional Band (Sultzman 1997). 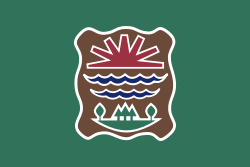 The four historic Abenaki Bands of Vermont have now united to form the Abenaki Alliance: the Koasek of the Koas, the St Francis Missisquoi/Sokoki Band of Swanton, the Nulhegan Coosuk of Lake Memphremagog region, and the Elnu Tribe of Southern Vermont region. The members of this Alliance remain separate bands within the Abenaki Nation’s territory of Vermont who work together for the betterment and preservation of all Abenaki in Vermont and the Koas region of Haverhill, New Hampshire. All these bands have sought official Vermont state recognition that will meet federal rules for selling arts and crafts as native-made as well as applying for scholarships set aside for Native Americans. On April 22, 2011 the Elnu Abenaki Tribe and the Nulhegan Abenaki Tribe received recognition, and on May 7, 2012 the Abenaki Nation at Missisquoi, and the Koasek of the Koas Abenaki Traditional Band received recognition by the State of Vermont; state recognition is still pending for the Koasek Traditional Band (Vermont Commission on Native American Affairs 2012). At the beginning of the twenty-first century there were approximately 2,500 Vermont Abenaki in both Vermont and New Hampshire, mainly around Lake Champlain (Sultzman 1997). Some still practice a subsistence lifestyle based on the traditional ways. They have two houses, a home for the winter and in the summer they travel, camping using tents. They work at are seasonal occupations like fishing, picking fiddlehead ferns and blueberries, working in potato and tobacco fields, and trapping in the winter. Such a pattern reflects the traditional nomadic lifestyle of earlier Abenakis: "Subsistence living means being in charge of the food chain, instead of being on top of the food chain" (Laroque 2001). Our Heritage Day is a time to pray, and to hold honoring ceremonies. This celebration is the occasion when we honor our leaders and elders for their wisdom. It is when we acknowledge our children becoming women and men. Heritage Day is also the time to reaffirm our rich heritage and to teach our children what it means to be Native American, to remember the past and build the future (Abenaki Nation 2008). The celebration is open to the public so that all those who are interested can learn about Abenaki traditional ways and that, "although our customs and garments may be different, we are all the children of the Creator and care takers of Mother Earth" (Abenaki Nation 2008). Alanis Obomsawin, filmmaker and documentarian, has produced and directed many National Film Board of Canada documentaries on First Nations culture and history. Her best known documentary is probably Kanehsatake: 270 Years of Resistance, about the 1990 land dispute between the Mohawk nation and the town of Oka, Quebec. She has also worked as an engraver and print-maker, with exhibitions in Canada and Europe. Mother and child imagery is prominent in her work, which also combines material from her own dreams with animal spirits and historical events. Donald E. Pelotte, Roman Catholic Bishop of Gallup, the first person of Native American descent to become a Catholic bishop. Alexis Wawanoloath, politician, Member of the National Assembly of Quebec. Joseph Bruchac, children's book author, poet, novelist and storyteller, as well as a scholar of Native American culture and musician of native instruments. Abenaki Nation. 2008. Heritage Day. Retrieved October 23, 2008. Bourne, Russell. 1990. The Red King's Rebellion, Racial Politics in New England 1675-1678. ISBN 0689120001. Calloway, Colin G. 1994. The Western Abenakis of Vermont, 1600-1800: War, Migration, and the Survival of an Indian People. University of Oklahoma Press. ISBN 0806125683. Campbell, Lyle. 2000. American Indian Languages: The Historical Linguistics of Native America. Oxford: Oxford University Press. ISBN 0195140508. Goddard, Ives (ed.). 1997. Handbook of North American Indians, Vol 17. Washington, D.C.: Smithsonian Institution. ISBN 0874741971. Hallenbeck, Terri. 2011. Abenaki turn to Vermont Legislature for recognition, Burlington Free Press, January 20, 2011. Retrieved January 30, 2011. Laroque, Jesse. 2001. An Interview with a Traditional Basket-maker Abenaki Nation. Retrieved October 23, 2008. Laurent, Joseph. 2006. New Familiar Abenakis and English Dialogues. Vancouver: Global Language Press. ISBN 0973892471. Masta, Henry Lorne. 2008. Abenaki Legends, Grammar and Place Names. Toronto: Global Language Press. ISBN 978-1897367186. Moondancer and Strong Woman. 2007. A Cultural History of the Native Peoples of Southern New England: Voices from Past and Present. Boulder, CO: Bauu Press. ISBN 978-0972134934. Sultzman, Lee. 1997. Abenaki History. Retrieved October 22, 2008. Thwaites, Reuben Gold (ed.). 1900. Travels and Explorations of the Jesuit Missionaries in New France, 1610—1791. Cleveland, OH: The Burrows Company. Retrieved October 11, 2008. Trigger, Bruce G., and William C. Sturtevant (eds.). 1979. Handbook of North American Indians, Volume 15: Northeast. Washington, DC: Smithsonian. ISBN 0874741955. Vermont Commission on Native American Affairs. 2012. Applications for State Recognition State of Vermont Government. Retrieved July 18, 2012. Wiseman, Frederick Matthew. 2001. The Voice of the Dawn: An Autohistory of the Abenaki Nation. Lebanon, NH: University Press of New England. ISBN 1584650591. This page was last modified on 21 January 2019, at 17:11.